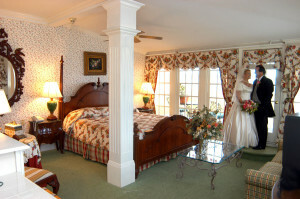 Your romantic Mackinac Island wedding awaits you at Bay View Bed and Breakfast. By combining your ideas with our experience, we’ll help to create your “Special Day” and leave you with beautiful memories to last a lifetime. With our newly remodeled Veranda Dining Room and enlarged harbor-side sundeck, we can comfortably accommodate either your indoor or outdoor intimate wedding and reception for up to as many 30 people. Both areas will impress you! For a small, intimate ceremony, exchange vows on your Bridal Suite’s private balcony that overlooks the marina and harbor. True romance! 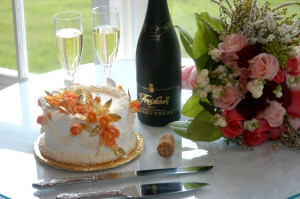 Give us your ideas and let us help work our “Mackinac Magic” on the most important day of your life. What more picturesque view could you ask for? Your ceremony on our spacious sundeck affords a panoramic view of the island, yacht harbor and Round Island. 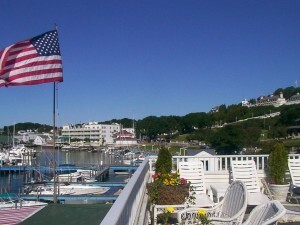 As the only Bed and Breakfast located at the water’s edge, Bay View offers a view like no other. No matter which direction you look – a beautiful view awaits. Photos of your special day will have the most beautiful backdrop on the island. Bay View’s indoor veranda, overlooking the yacht harbor and fort, is the perfect spot for your indoor wedding, vow renewal, cocktail party or reception. 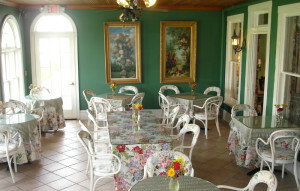 Why not host your bridesmaid’s brunch in our delightful Veranda Dining Room? Paired with the delicious treats from Rose’s kitchen, the ladies in your group will be delighted and pampered. Our deluxe suites will meet your every need! We have four suites, all uniquely appointed with luxurious amenities. Each includes a king size bed, Jacuzzi tub, wet bar (microwave and fridge) sofa or large seating area, television with VHS/DVD and a large, private balcony. You’ll relax in a comfortable and romantic setting as you enjoy your first married days. Bringing your loved ones, family and friends together for your wedding or vow renewal makes it an extra-special event. Bay View’s rooms and suites can accommodate a variety of needs for your guests; from our comfortably appointed Standard Room to the breathtaking views afforded in our Balcony Rooms or Suites. Our spacious veranda dining room and sundeck make great gathering areas for family fun. Bay View’s central location on the island makes it convenient for everyone to easily enjoy all that Mackinac Island has to offer. We’d be happy to help arrange golf outings, sightseeing trips or a sunset sail on the Straits of Mackinac. When you need a break from the hectic wedding schedule, grab a beverage or a book and enjoy the serenity of our front porch. Or just sit back and “people watch”.